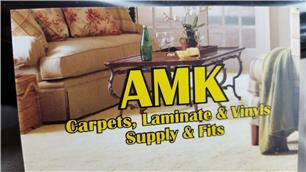 AMK Flooring have been established for 9 years, offering quality advice and services. We are a flooring specialist and supply and fit carpets, wood and Laminate flooring, we also offer carpet repair/stretching and painting and decorating service. We pride ourselves in offering a prompt, efficient service and are always conscious of our customer’s needs. Please feel free to contact us on 07576 250286 to discuss your individual needs and requirements, we are always happy to help”. Birmingham, Smethwick, Solihull, Walsall, West Midlands with in 20 miles.